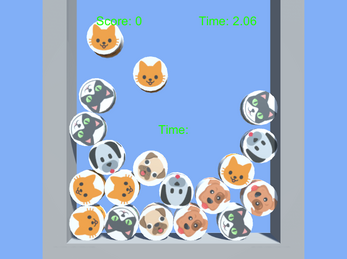 A game I made for the 95th one hour game jam with the theme 😺 (Cat emoji). 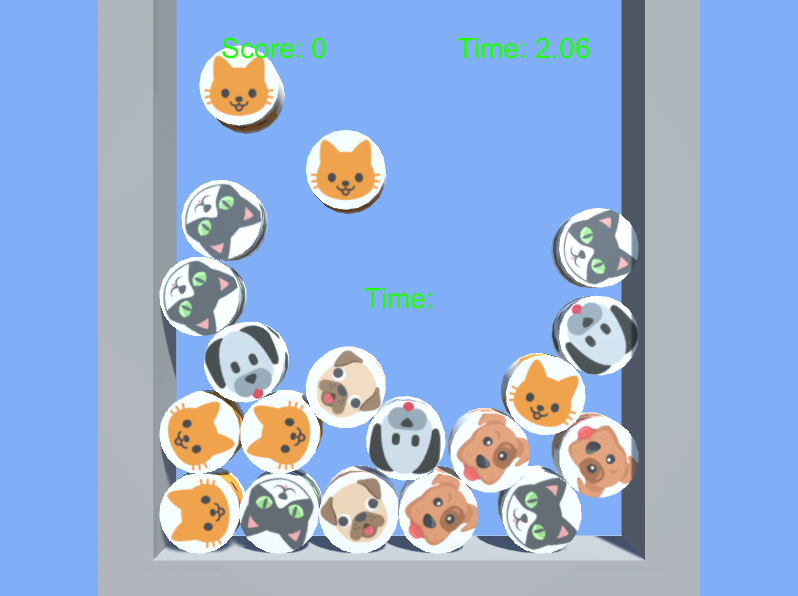 Click the cat emojis to get points but watch out clicking the dog emojis will lose you points! How high of a score can you get in 10 seconds? Once the time is over press R to restart.